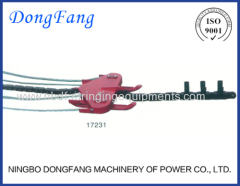 Overhead Transmisson Line Stringing Tools are used for overhead power line stringing and installation operation. 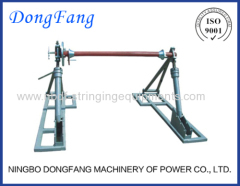 We have designed and manufactured whole set of stringing tools from low voltage transmission line up to 1000 KV super high voltage power line. 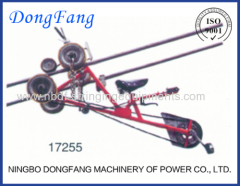 The tools include come along clamps, space carts (bicycles), running boards, ratchet chain hoists, pulleys, swivel joints, fixed joints, socket grips, conductor cutters, hydraulic compressors, crimping tools, joint protectors, sag scopes etc. Hydraulic Compressor Machine is used for conductor jointing on overhead transmisson line. 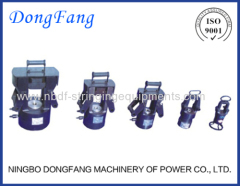 The set include compressor, hydraulic pump, and die sets. 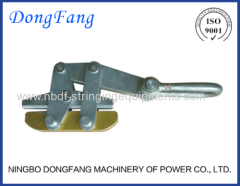 Come along clamps are used for holding conductor or ground wire (or OPGW cables) in overhead transmisson line stringing or maintenance operation. Wire Grips are used for holding conductor or ground wire (or OPGW cables) in overhead transmisson line stringing or maintenance operation. 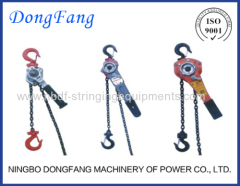 Ratchet Leave Chain Hoists are used for lifting and sagging operation in the transmission line stringing project. The Hoists are equipped with safety. Conductor Socket Joints (Cable Socks Pulling Grips) are used to hold the overhead cables in transmission line stringing operation. Conductor Joint Protectors are used to protect the compression sleeve joints for ACSR conductor or Ground wire joint in line stringing operation. 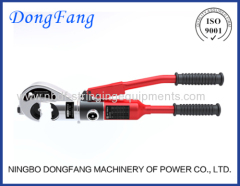 Hydraulic Crimping Tools are used for crimping aluminum or copper connectors with die sets. 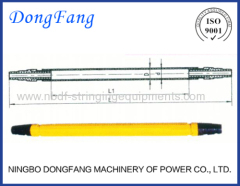 It is widely used in overhead transmission line working. 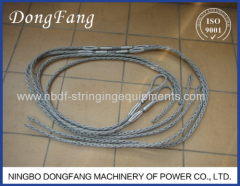 Running Head Boards are used for bundled conductors stringing and pulling on the stringing blocks. We have 2, 3, 4, 6, 8 conductors running boards. 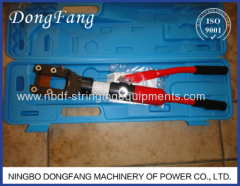 Spacer Trolleys and Overhead Lines Bicycles are special tools widely used in transmission line maintenance and accessory installation operation. Conductor Reel Stands are made of welded steel with a protective coating, used for supporting conductor drum or OPGW cable drum in line stringing. 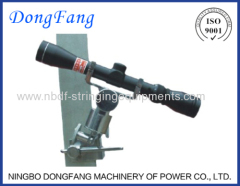 Zoom Sag Scope is used for adjusting the sag of overhead transmission line, during the conductor or Earth Wire, OPGW sagging operation. 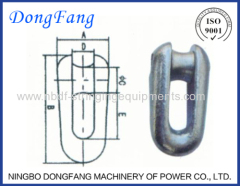 Fixed Joints are used for connection of pilot wire rope or pulling rope in transmission line stringing operation. It is made of alloy steel. Swivel Joint connector is used to pull conductors. 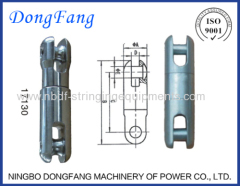 Constructed with ball bearings inside, to eliminate the torque force when stringing conductors. 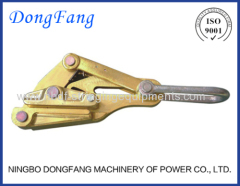 Ranas Tensoras son used for holding conductor or ground wire (or OPGW cables) in overhead transmisson line stringing or maintenance operation. 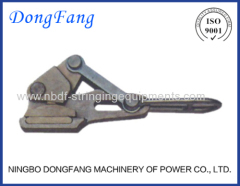 Group of Transmission Line Stringing Tools has been presented above, want more	Transmission Line Stringing Tools and Overhead Transmisson Line Stringing Tools, Please Contact Us.